The Project Engineer provides administrative and technical services in the fields of document control, scheduling, cost engineering, subcontract coordination, and general project administration. Along with job site project managers and superintendents, project engineers have responsibilities in overall project oversight while maintaining a quality product and safe workplace. Collaborate with the Project Manager(s) in purchasing activities including scoping and take-offs. Monitor and expedite material deliveries ensuring all deliveries conform with the project schedule. Overall responsibility for communication of information amongst all project team members. Familiarity reading drawings and specifications. Computer proficient, including Microsoft Office products. Detail oriented with ability to manage multiple priorities and meet deadlines. 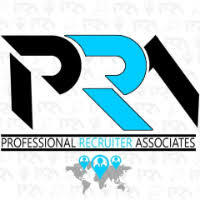 For immediate consideration, please forward a copy of your current resume to info@profrecruiters.com referencing job #1768 or a link to this job.